In the past, many families used their home gardens to provide or at least supplement their produce. Over time people started relying less on themselves and solely on grocery stores. Many people living in urban areas don’t even have access to the dirt or light good enough to grow a garden. For some of us that do, we still may not have the time to tend to a garden. There are many families in the United States, much more when you include the rest of the world, that don’t even have the option of affordable access to fresh healthy produce. Growing up my family had a garden in our backyard. I remember spending hours during the summer tilling, weeding, and harvesting our vegetables. I hated weeding the garden, but I also loved the experience of eating what we put work into growing. As an adult with my own family, I wanted to have a garden but ran into a couple of obstacles. First, our yard didn’t really have a good spot for a garden without doing some major landscaping. Also, we didn’t have the time to maintain a quality garden. 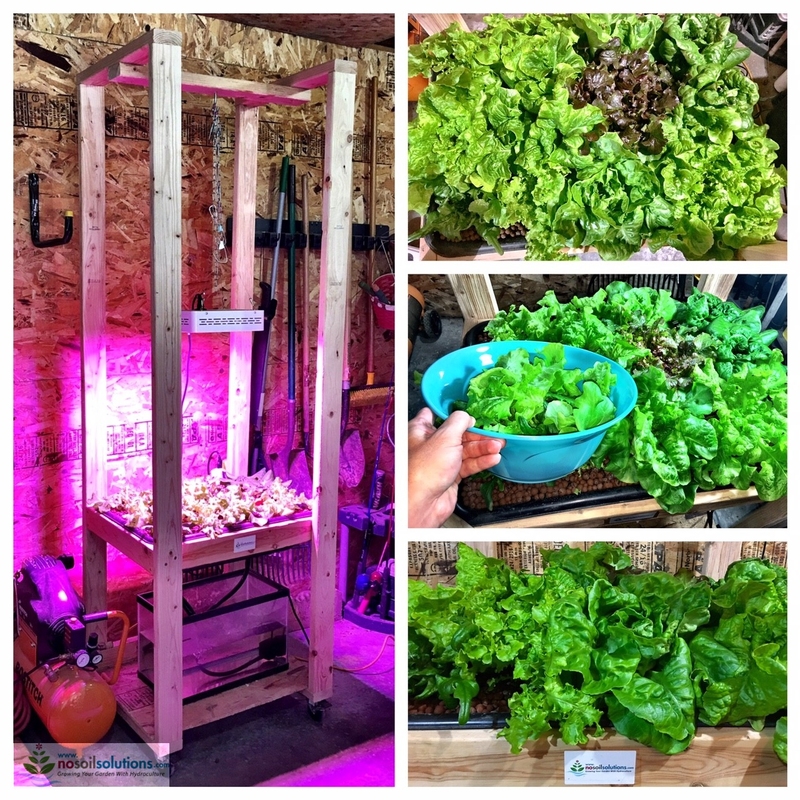 One night while looking on the internet at gardening ideas, I came across some hydroponic vegetable gardens. As someone who likes to include a little wow factor, this was the answer to my problems. With my hydroponic systems, I’m able to grow more in a smaller area, with little maintenance and extend my harvest time. With indoor hydroponic vegetable gardens you have to worry less about pests and disease, so often times pesticides aren’t even needed. The plants grow faster and produce more. One of the best parts, I don’t have to do any weeding! When I first started learning about hydroponics I was a little intimidated. There were many books, videos, and articles that I read that were very technical and hard to understand. Information was scattered around. As I continued to learn, experimented, and grew, I learned that hydroponics really isn’t that difficult. It’s actually pretty simple. I wanted to keep everything that has worked for me in one place. I also wanted to share this information with others, so they can start their own gardens, and share hydroponics with the people they know. Hydroculture can give every family affordable access to fresh produce and allow them to take back some control of over their diet. The combination of hydroponic and aquaponics can solve not only our hunger problems in the United States, but in the world!